only God knows how great He is. Allah SWT created man from clay and water and blew His Ruh (Lit. the soul) into it and then the capabilities of human beings were expressed in the best possible way. He was given Ahsan Taqweem , which became capable of the vision of the attributes ( Sifaat ) and the Dhat (Lit. the self or the own) of Allah SWT. “When I wanted to be known” is their greatness. “For that I created the creation” is their majesty. The ‘Arsh is on Aabe Hayat (Life giving water), the Ka’aba is on Aabe Zam Zam and Bait Ul Ma’amoor is on Aabe Kauthar . Ahmed, Muhammad, Mahmood (Sallallahu alaihi wa sallam) these blessed names of the Holy Prophet Hadhrat Muhammad Mustafa (Sallallahu alaihi wa sallam) had not been used for anyone from the creation of universe. Allah SWT had saved those names for the Holy Prophet (Sallallahu alaihi wa sallam). It is a sign of the grand status of the Prophethood of the Holy Prophet (Sallallahu alaihi wa sallam) that Allah SWT has given Him such names that were not used for anyone else before Him. These innumerable names were protected in a such a way that they were not used for anyone else. These names Ahmed, Muhammad, Hamid, Mahmood (Sallallahu alaihi wa sallam), hold powerful signs of Him and His great characteristics. 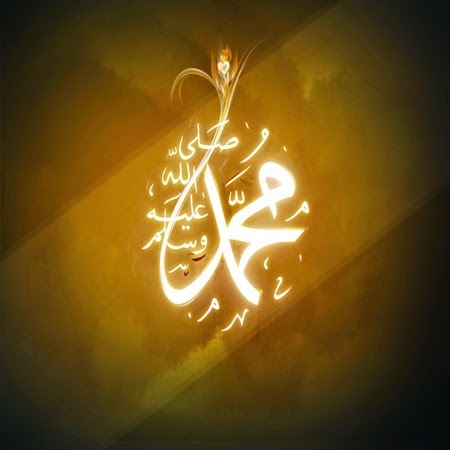 In one Hadith, the Holy Prophet (Sallallahu alaihi wa sallam) said: Such a meal, after laying which, a person whose name is Ahmed or Muhammad (Sallallahu alaihi wa sallam) comes and in another version of the Hadith, a person with My name has a meal, then by the command of Allah SWT, angels clean and bless the house in which the meal has been laid twice daily. It has been mentioned in Kitab Ush Shifa in Fi Huquqil Mustafa Sallallahu alaihi wa sallam that there are some angels whose only work is to guard those houses in which there is a person by name Muhammad (Sallallahu alaihi wa sallam). It is mentioned in a Hadith that when some people gather to consult each other over something and a person by name Muhammad or Ahmed (Sallallahu alaihi wa sallam) also joins them and is included in the consultation, then this matter over they were consulting will compulsorily be blessed. Allah SWT blessings ( Barakah ) and Mercy descend on the house in which there is a person by name Muhammad (Sallallahu alaihi wa sallam). The blessings of these blessed names are innumerable. Here only a sample is being mentioned.